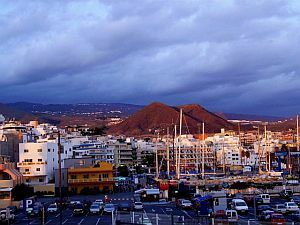 Unlike its neighbour, Playa de las Americas, which was a purpose-built tourist resort created in the 1960s, Los Cristianos actually has a history. A settlement was first recognised there in the 1860s, when, apparently, it consisted of "three one-storey houses, one two-storey house and a hut". By 1888, it had grown to 29 houses - and a cave! It is commonly known that the town started out as a fishing village. Its first quay was built in 1909 to ship out the goods from a local distillery. This quay (known as El Puerto Viejo), still exists today. In 1919, the surrounding land was irrigated, preparing the ground for the introduction of agriculture. Tomato and banana plantations sprang up, resulting in an influx of workers, thus increasing the population. The village was gradually turning into a town. Churches were built, plus a new, larger port, to accommodate the increase in the fishing industry and even commercial shipping. An even bigger port was constructed in 1975 and ferry services were started to connect Tenerife with the neighbouring island, La Gomera. 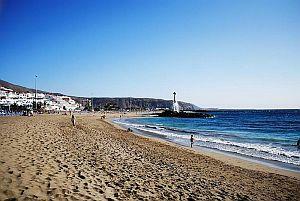 The tourist industry began for Los Cristianos in the mid-50s. It all started with the arrival of just one man - a Swede named Bengt Rylander. Suffering from multiple sclerosis, he visited Los Cristianos to take advantage of the dry air and warm climate. He found it extremely beneficial and, as he was, fortuitously, a writer and TV personality, he was able to spread the word and other Swedes with various ailments soon followed his example. So, the late 50s and early 60s saw Los Cristianos as a destination for ill Swedes - a sort of town-sized convalescent home! Evidence of these early Swedish visitors still exists in the name of the main street Avenida de Suecia - "Avenue of Sweden". Soon, members of other European countries were pouring into the town and some large buildings to accommodate them were required. Thus were built the oldest tourist blocks, still standing today: Cristianmar, Rosamar and the Oasis Moreque Hotel. The tourist industry really took off in the 1970s, with the opening of the big, international South Airport. So, during the late 70s and the 80s, the British finally arrived. They were not just holidaymakers either - many came to live or spend six months of the year, escaping the British winter. Along with the continuous building of hotels and apartment blocks, many bars and restaurants sprang up and a lot of them ended up being British owned. These days in Los Cristianos, it's like searching for a needle in a haystack, trying to find a genuine Canarian bar/restaurant that the locals use. They do still exist, though. As befits a place now relying predominantly on tourism, the town is full of bars, restaurants and holiday accommodation. The harbour and port is one of the busiest in Spain, handling not only commercial businesses, but transporting passengers, by ferry, to neighbouring islands and the Iberian peninsula. There are several smart shopping streets, including the aforementioned Avenida de Suecia, selling high quality goods. Nightlife is a little more sedate than that of its younger neighbour, Las Americas. The most you'll get is middle-of-the-road live entertainment or karaoke. The town is mostly favoured by, let's say, the more mature holidaymaker. 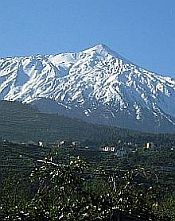 Los Cristianos is also a good place from which to access the many various attractions, trips and tours that Tenerife has to offer. These are detailed in full on my attractions page.